Josh and Windy both helped me out with an unfortunate (for me) event in my life. Josh was able to help me on my first step out to freedom by summarizing my situation and getting me free. Windy then handled the remainder of the case and was able to get a very fair and satisfying result. Keep in mind I am a 62 year old guy with clean record. They make a great team and are there to be your legal support and I highly recommend their highly professional and very fair representation. I wish there was a way to give Ortega Law more than 5 stars. They are meticulous and treat you like family and are true lifesavers. I am thankful to have worked with them. I would recommend them 100%. As a man in the litigation system facing a lady, I was able to accomplish much of the unheard of outcomes. From Protective orders, To Divorce/Custody, in my experience, This is THE team to go with. Mrs. Ortega is very aggressive, yet calm in the way she goes about negotiations and Mr. Ortega is a very understanding person before being an attorney. They are there for you when you need them, even at 1 am in the morning in case of emergencies. I highly recommend this firm and team. They WILL get the job done. Mr. Ortega professionalism and expertise was awesome. He communicated with me 24/7 and always with positive energy in person or over the phone. He explained the process and the outcome of my case that kept me optimistic about my situation. He was very compassionate, patient and supportive with me during my ordeal. Mr. Ortega was my voice and I am forever grateful for meeting him. 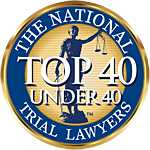 My experience with Ortega Law has been very rewarding! Their confidence, experience, dedication, and trustworthiness have made a difficult situation of mine a breeze. Every phone call and email of mine was answered and responded to promptly. They were very elaborate and informative with everything that took place. I could not have asked for a better experience! I am very pleased to be represented by such a successful hardworking firm and am proud to say Ortega Law will forever represent me and my family! The Ortega’s seemed to be sent to us almost divinely and we are so thankful they were! Communication, respect, compassion, and patience are at the top of the LIST of things we appreciated about their firm.